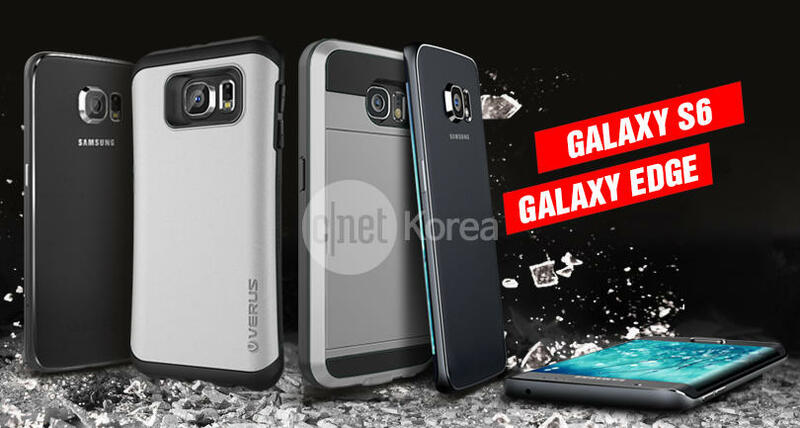 First Leaked Photos that shows off Samsung's upcoming flagship Smartphones, the Galaxy S6 and the Galaxy S Edge. 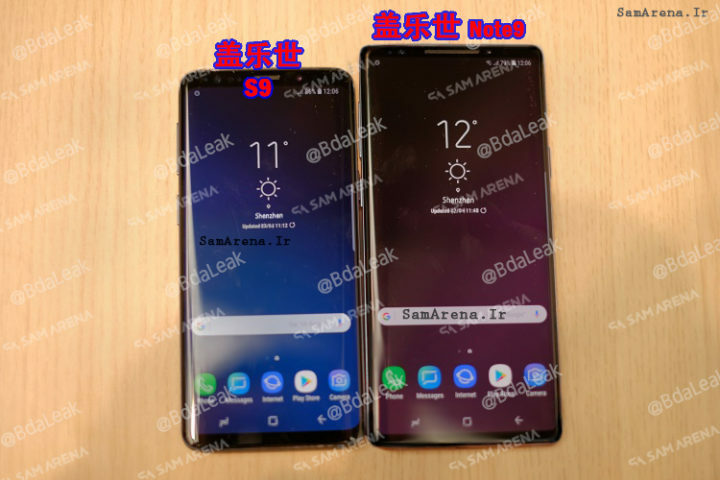 The images, provided by sources at a South Korean electronics distributor, purportedly show five variants of the electronics giant's new flagship smartphone, including an Edge-style version. While the Galaxy S6 isn't expected to be formally announced until the Samsung Unpacked 2015 event held on March 1st, the rumour mill has been running overtime on what the world's largest smartphone maker might be offering in the new handset to revive its sluggish mobile-phone business. 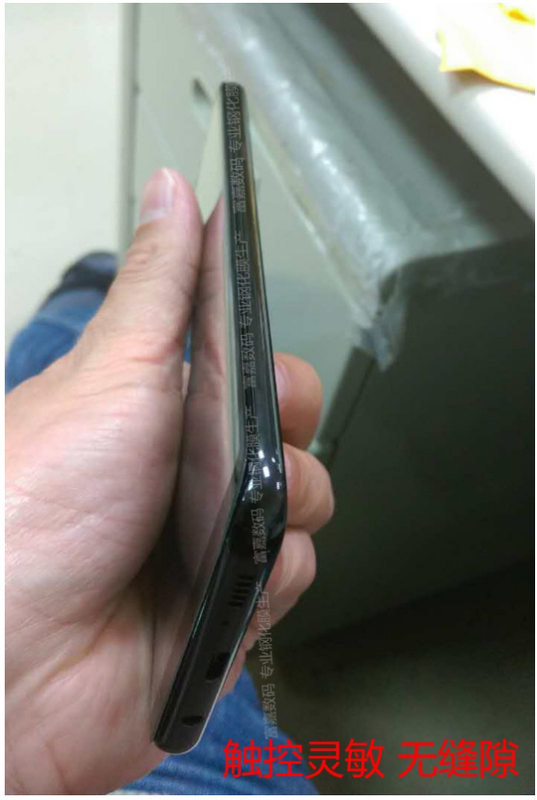 The fifth phone shows that the bezel which looks metallic and quite thick of the visible edged side, unlike the Galaxy Note Edge, is protruding outwards. This seems to indicate that the fork-looking silver line shown in Samsung's recently sent invitation was the hint for the particular wraparound design of the Edge. 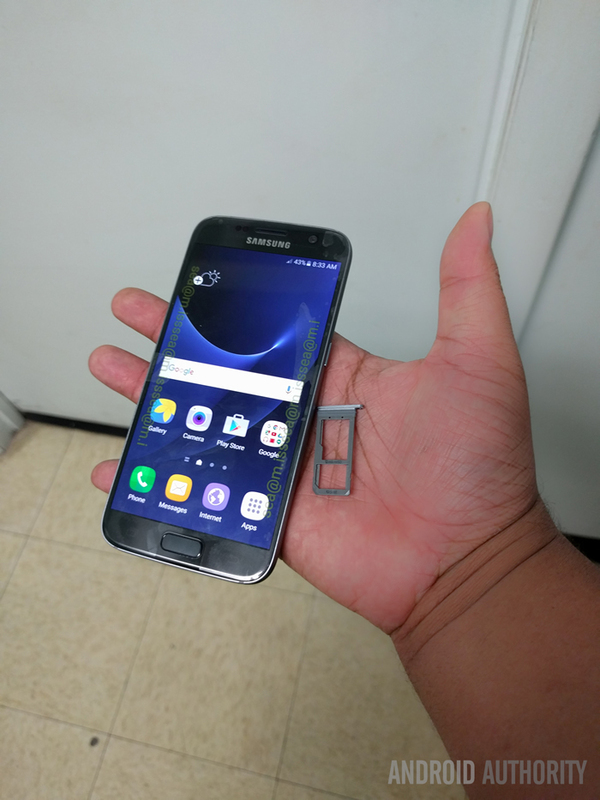 The physical home button is still very much alive, it seems, while the glimpse of the fifth phone shows that the front of the S6 will resemble its predecessors the S5, S4, and S3. 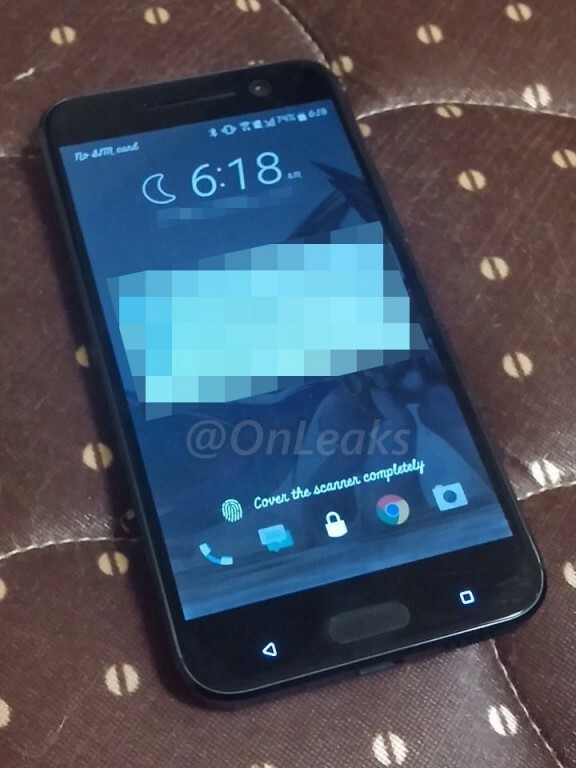 Evan Blass and @onleaks has released a number of images and they all show us the alleged HTC 10. If you are wondering why we are calling the next HTC flagship just HTC 10 instead of calling it the HTC One M10, then you are probably not aware that HTC has decided to ditch the "One M" moniker from 2016 onwards. 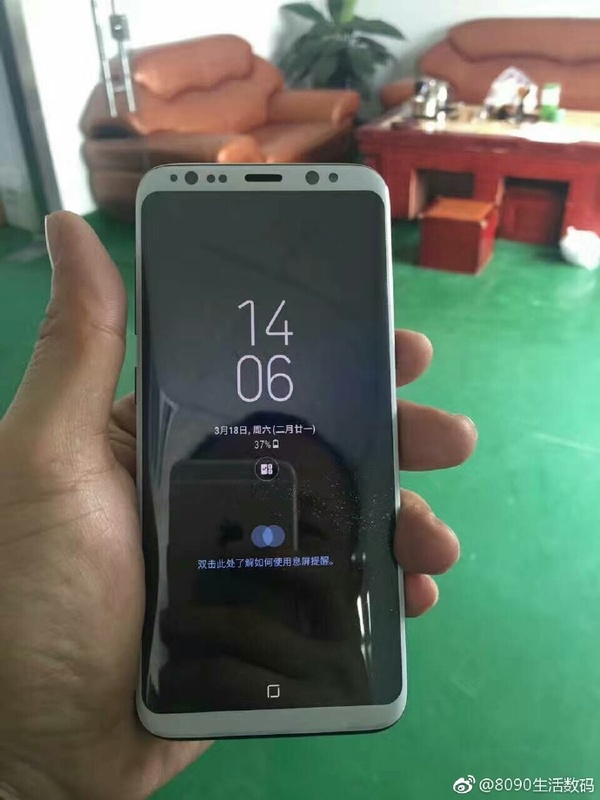 Firstly, we are treated to the press renders that were leaked by Evan Blass and then, @onleaks takes it a few steps further by leaking three live shots of the HTC 10 on Twitter. Accompanying these images are certain specs that we had already heard rumors about. 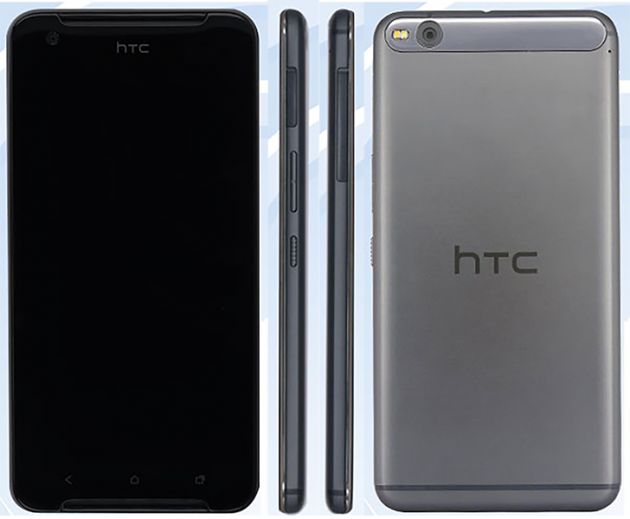 According to @onleaks, the specifications of the HTC 10 prototype include a SD 820 SoC backed by 4GB of RAM, a 12-megapixel rear camera and a 5.15-inch 1440p display. The smartphone will also support quick charging via its USB Type-C port. 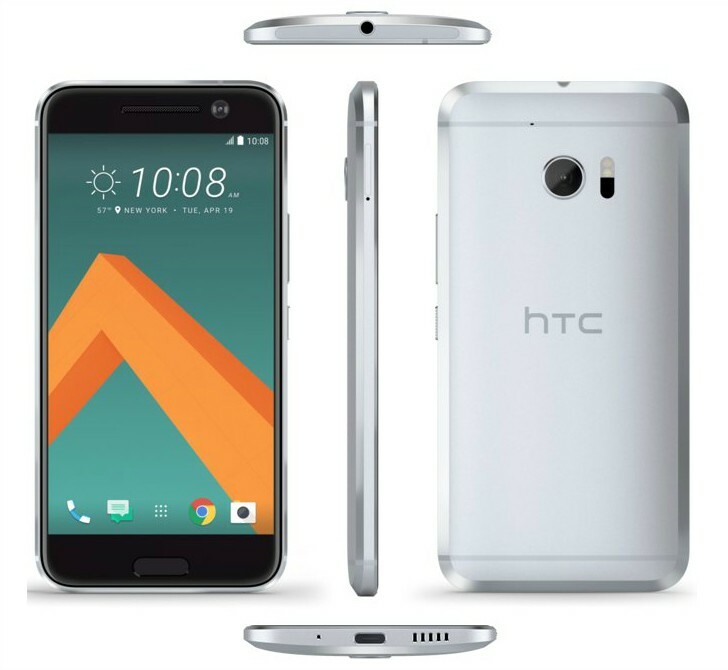 HTC 10's camera is probably the most interesting aspect of the smartphone as the company itself has called its imaging capabilities "very compelling" and we would therefore love to compare it with the camera on the Galaxy S7, which sports a camera that's built with the same philosophy of larger pixels over the megapixel count. Now that images have started to leak along with other hardware specifications, HTC will possibly announce a release date for the device pretty soon. For all the issues with the Duo Camera on HTC's flagship One M8, the selective focus thing is pretty fun to play with. With the newest update to the HTC Gallery app in the Play Store, M8 owners can share Duo Camera images to the web that anyone can use to change the focus. It's sort of like those Lytro camera embeds. Now, you can share with your friends your images with 3D-effect or Ufocus images as an interactive image online. It's a software trick, but it's more reliable than most similar solutions on other devices. 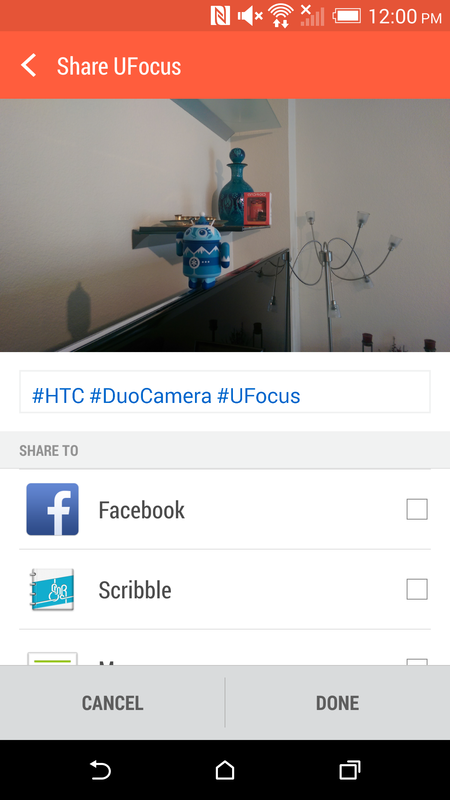 In the updated Gallery app, just share your Ufocus edit and you can embed the image anyplace online. It's also hosted by HTC. In order to access this feature you'll need to Update your HTC Gallery App from the play store. 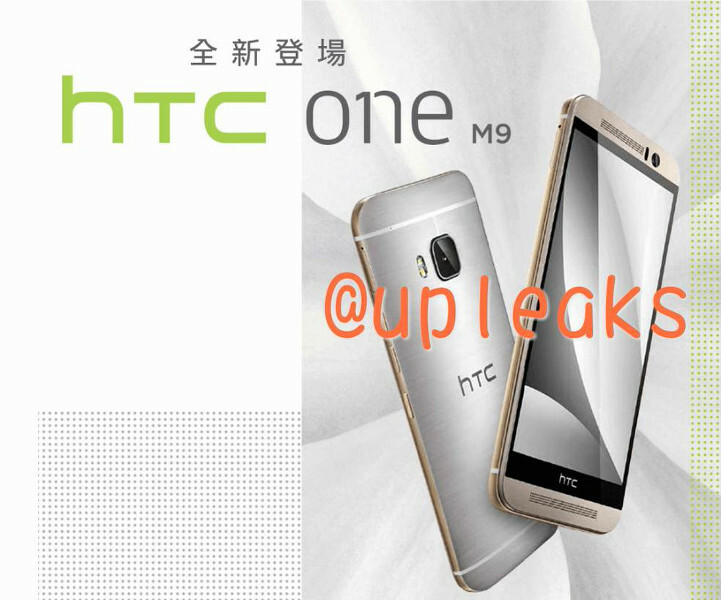 Leak after leak, information about the HTC One (M9) has been leaking a lot lately, since the Taiwanese company's next flagship smartphone is due to be made official this Sunday. 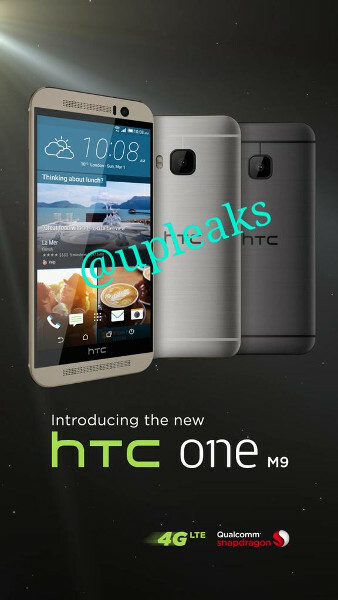 Now though, we may have the clearest look yet at the One (M9). What you see below (and above) are a couple of official press renders that seem to show two different promotional materials for the One (M9). They come from a source that has leaked stuff in the past, so they could be legit. On the other hand, they may not, so don't take anything for granted just yet. 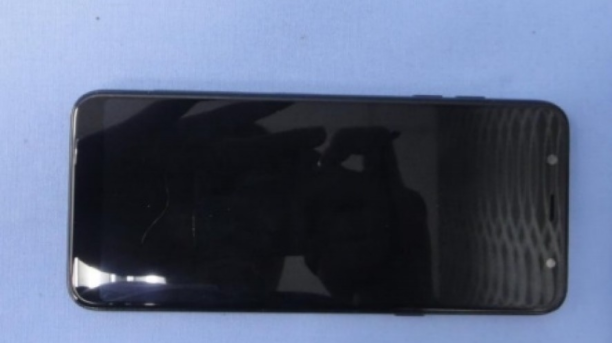 This leak tells us nothing about specs, but the handset should sport a 5-inch 1080p touchscreen, a 20.7MP rear camera, a 4MP (possibly UltraPixel) front camera, 3GB of RAM, and a 2,900 mAh battery. Running the show will be Qualcomm's Snapdragon 810 SoC with a CPU coming with four Cortex-A57 cores clocked at up to 2GHz, and four Cortex-A53 ones that only go up to 1.5GHz. The One (M9) will run Android 5.0 Lollipop Out-of-the-box. Stay tuned! 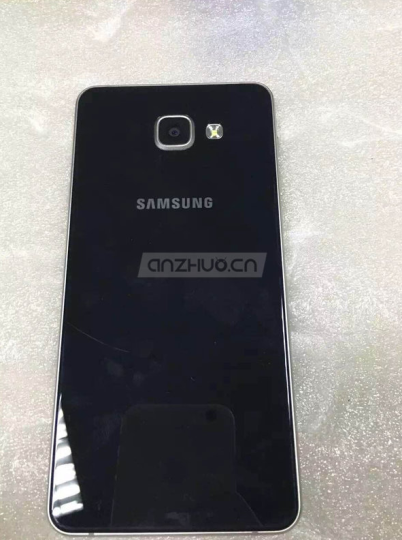 Some new images of the yet to be released Samsung Galaxy A5 and A7 have emerged. Right now these are the clearest images available online and it is quite evident that the smartphone will sport a metallic body and get improved specifications in comparison to existing Galaxy A series. 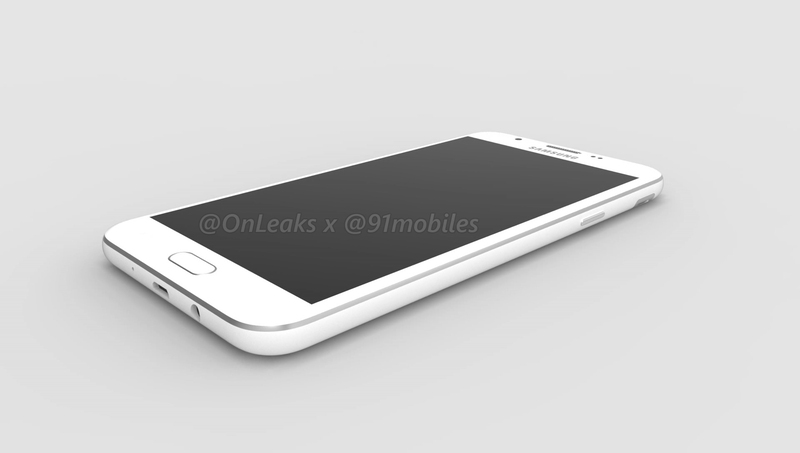 Looks like the device is imitating the design language of the Galaxy S6 along with a bigger home button. 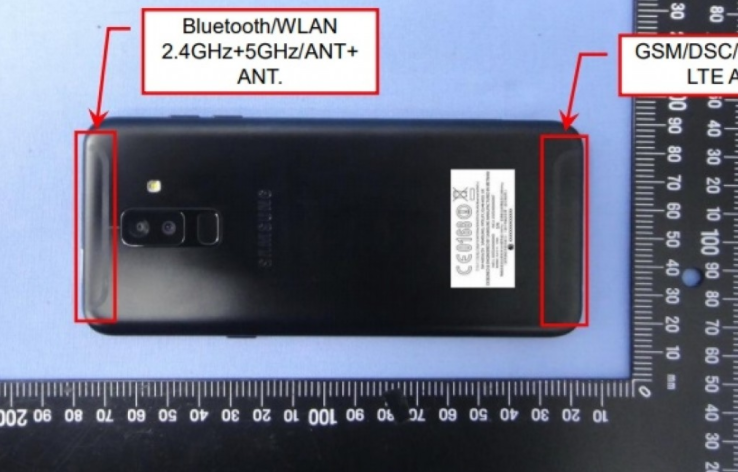 Although this was not a part of today's leak, considering the fact that the Galaxy A8 has a similar sensor and this type of components have native support from Android 6.0, it can be safely concluded. 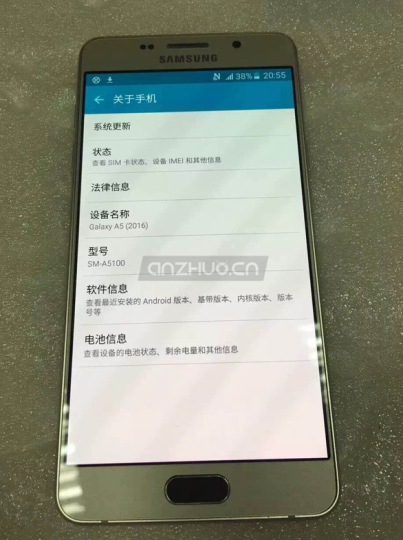 Reportedly the Galaxy A5 will be featuring a 5.2 inch full HD screen (most probably SAMOLED) and a 1.6GHz Octa-Core Exynos 7 SoC with Mali-T720 GPU. 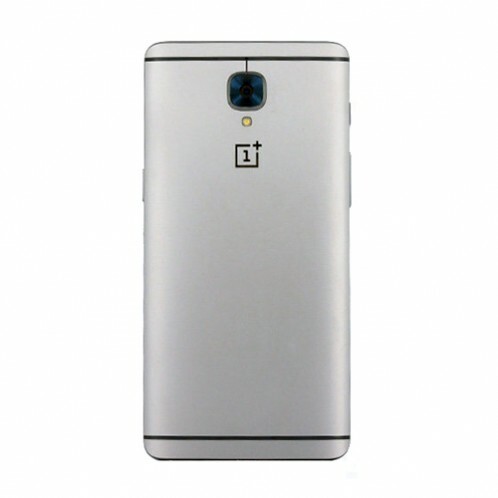 It is also expected that there would be 2GB RAM and 16GB storage in the device. 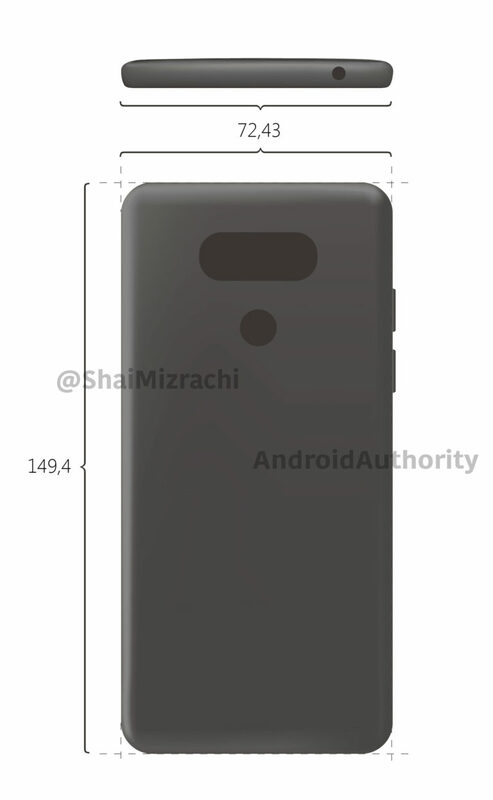 A5 will have a 13 MP snapper in the back and the counterpart in the front will be of 5 MP. 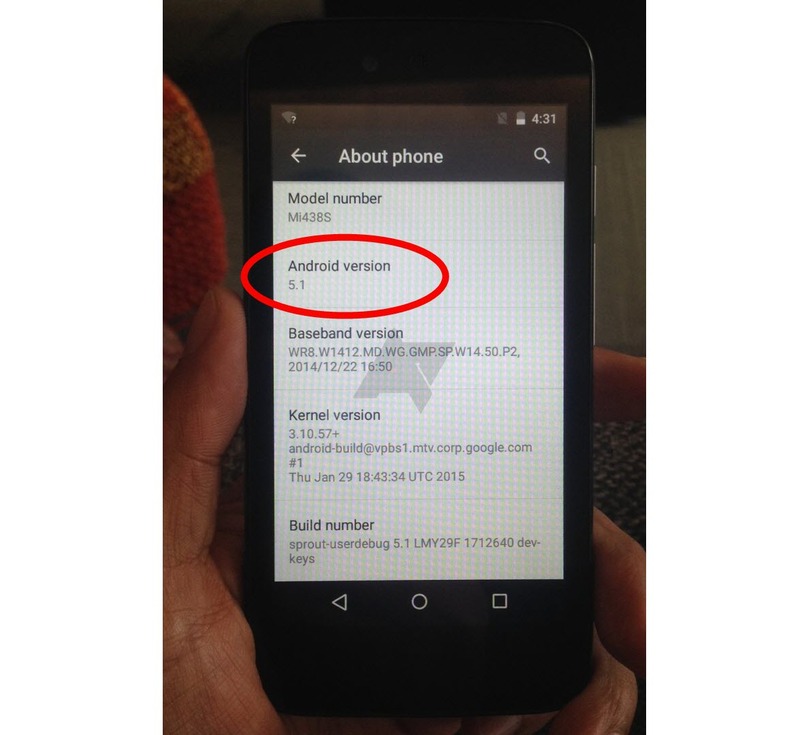 It will have support for Android 5.1.1 and microSD. 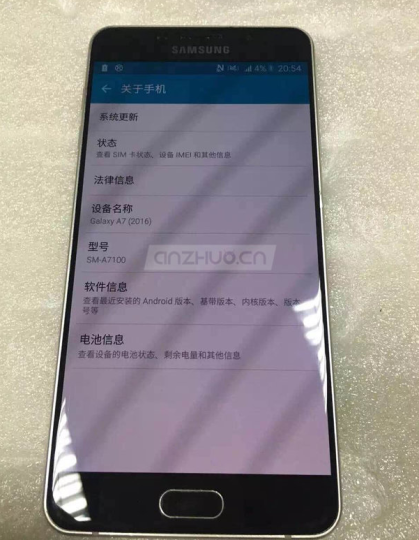 A7 (SM-A710) is reportedly going to feature a 5.5-inch Full HD SAMOLED display, a 1.5GHz Snapdragon 615 SoC with Adreno 405 GPU, 3GB of RAM, and 16GB of device storage. The camera in the back and front will be of 13 MP and 5 MP respectively. It will also support Android 5.1.1 and microSD. Though the pictures suggest that the smartphones are on the verge of getting released, the Korean company is yet to report any concrete information. The Samsung Galaxy S7 leaked in Dubai in the last couple of days with a reveal of the device, its packaging, and the exact contents of the retail Galaxy S7 box. The video, which only runs 15 seconds, is still long enough to reveal or confirm a few of its features. 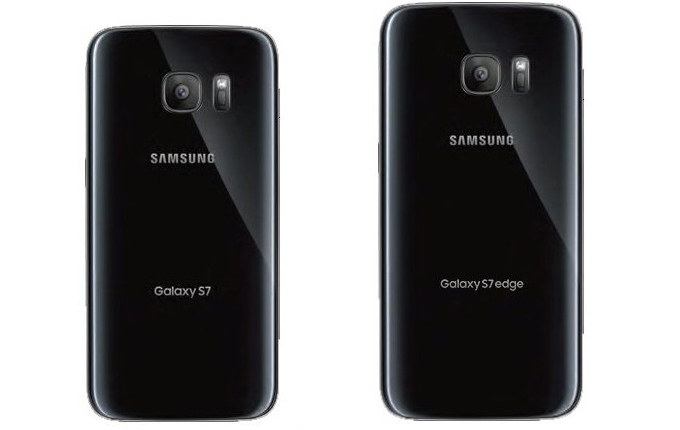 The model in question was a black variant of the Samsung Galaxy S7. 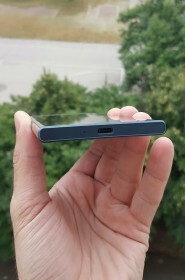 The SIM card slot includes space for a SIM card and a microSD card slot. The return of the much loved microSD card slot will satisfy may consumers who were dismayed at its notable absence in recent models. 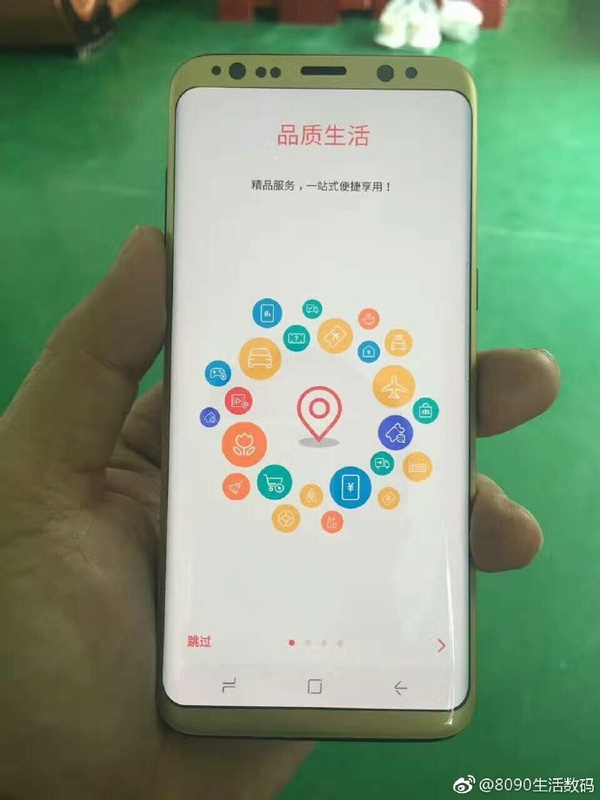 The device is expected to have a 12-megapixel rear-facing camera that has a degree of water or splash resistance from its IP68 or IP67 official rating. The design of the handset won't hold many surprises as it looks not unlike the Galaxy S6 with sleek metal around the sides and glass present both front and back. The glass is modified this time to be curved around the edges which lends the device a sleeker look and the home button is more pronounced. The battery is a question mark with information suggesting it might have a 2,800 mAh battery, however, other sources still hold that the battery will have a 3,000 mAh capacity. No sign of a USB Type-C port here either with Samsung sticking with the slower, non-reversible microUSB 2.0 port. The handset will use TouchWiz as a skin over the top of Android 6.0 Marshmallow. 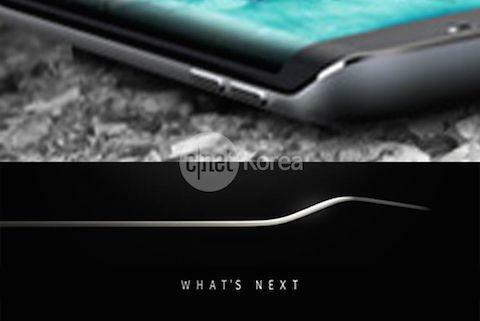 The TouchWiz interface looks to have been flattened and curved more than before. Flipboard integration, love it or hate it, is still there, but again the user can disable it. 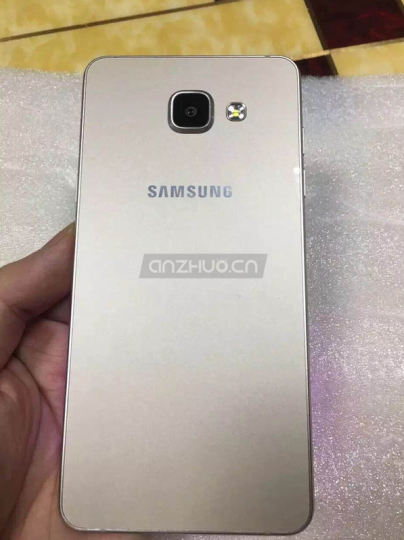 Although the Samsung Galaxy S7's supposed launch date is still about a month away, most fans are already aware of its rumoured specs. We may even have a pretty good idea about how it will look! To add to this "preview" of sorts, two new photos have been leaked. From the look of things, it seems that they were taken in a Samsung production unit itself. The first picture shows a total of twelve camera modules on a single factory board. Each of the modules has a number assigned to it that has been printed on the portion of the board that's right above it. On the top row, the modules are numbered from right to left alphabetically, starting with A1 and ending with F1. Similarly, on the bottom row, the numbers run from A2 to F2. 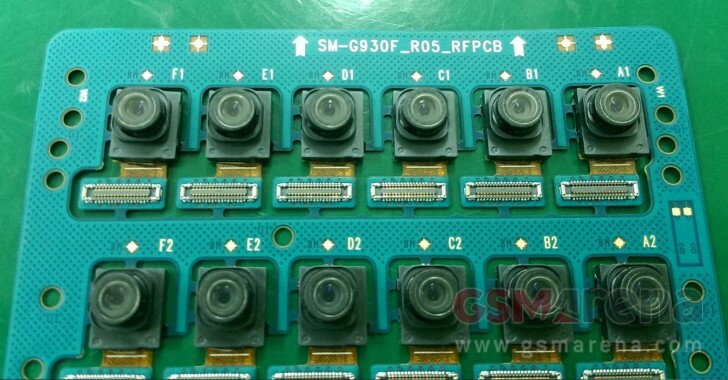 "SM-G930F_RO5_RFPCB" is printed on top of the board which confirms that these are indeed front camera modules for the S7 as SM-G930F was previously leaked to be the assigned codename for the Galaxy S7 Exynos version. The RO5 marking is probably there to indicate that this is the 5th revision for the modules. It looks like the new front camera will have its connector offset on the side, instead of being on its center like the Galaxy S6's front camera. 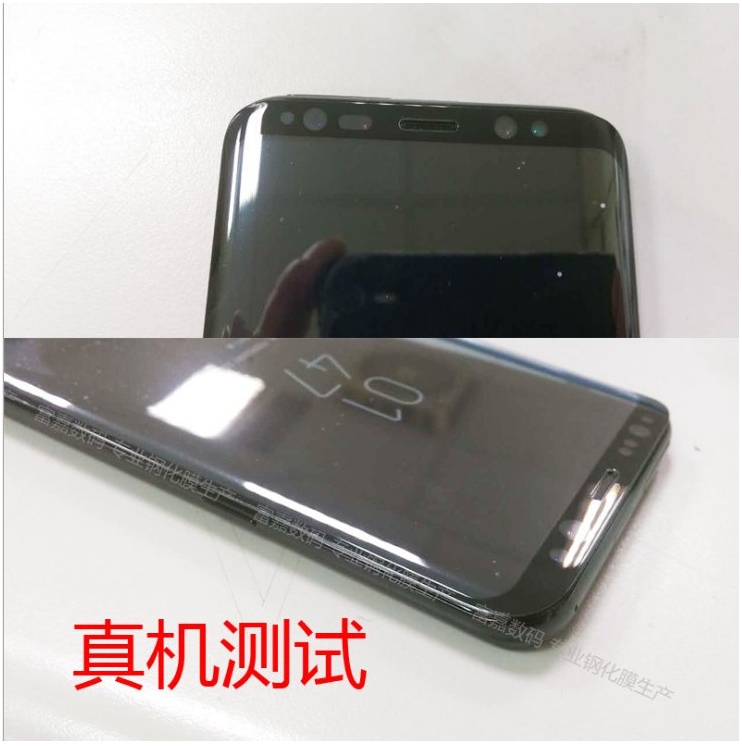 The Galaxy S7 is seen in its full bodied avatar in the next image, which has allegedly been shot with the first HTC One! Actually, it is not really full bodied as none of the design aspects which will make it to the final version are visible here. 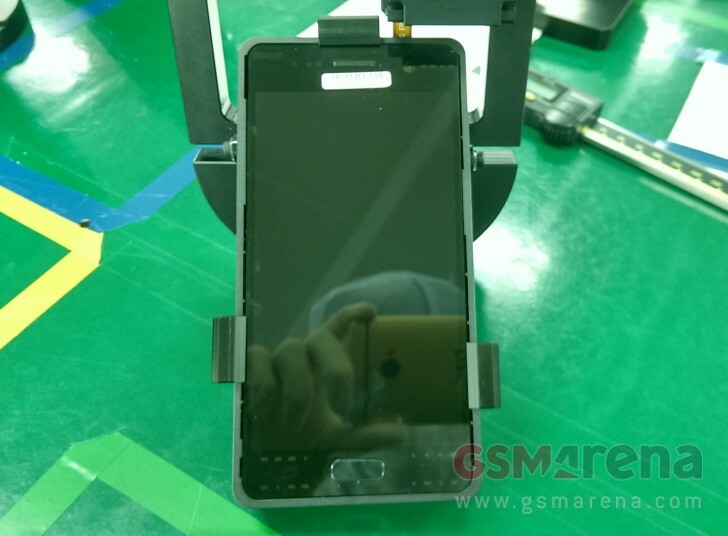 The picture simply shows a developer's version of the S7 being tested. Efforts have been made to even hide the brand name with a sticker right on top of the Samsung logo. The iconic Home and Back button designs however, clearly give it away. 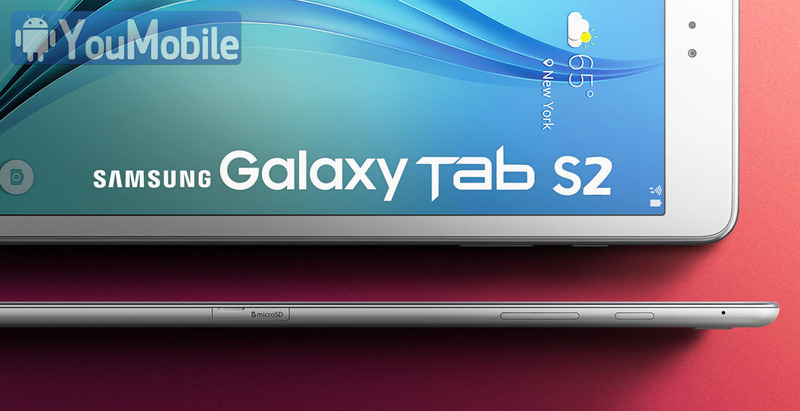 The first press renders of the upcoming long-rumored Samsung Galaxy Tab S2 has been leaked online. The images shows a two variants, one with 8-inch display and another one with 9.7-inch display tablets. Both versions of the tablet will feature a screen with 4:3 ratio and a resolution with 2048 x 1536 pixels the same as the one found in the Apple iPad family. The 9.7" Samsung Galaxy Tab S2 will debut with the model number SM-T810, while the 8" variant will carry the SM-T710 moniker. The tablet is rumored to be only 5.4mm thin. 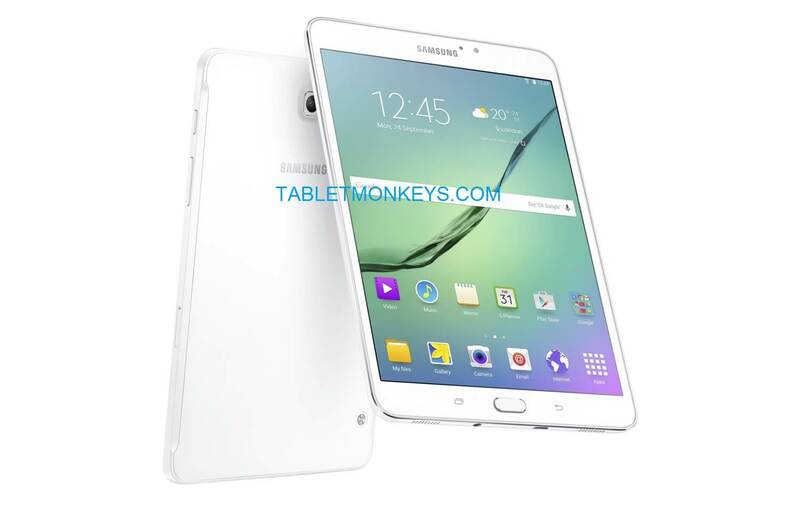 Specs-wise, the Samsung Galaxy Tab S2 is expected to pack the same 64-bit Exynos 7420 SoC as the Samsung Galaxy S6, coupled with 3GB. The chipset is among the most powerful solutions currently on the market, thus meaning that the slates won't lack hardware oomph. 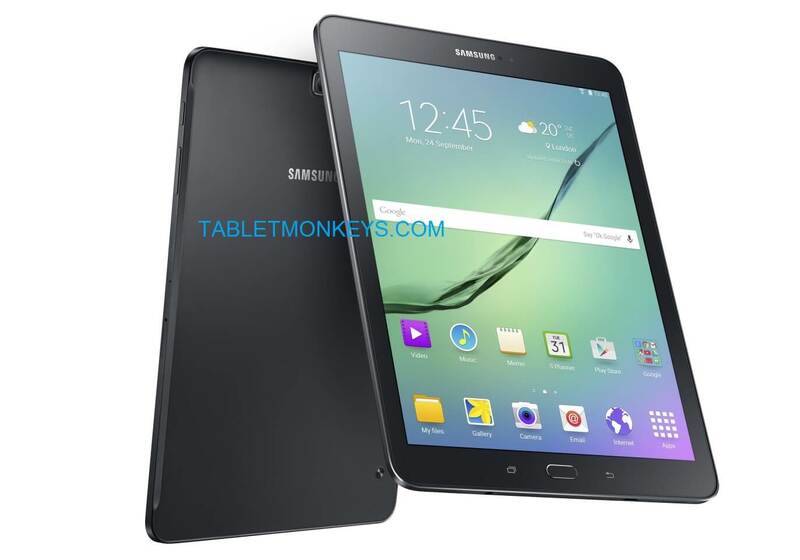 We already posted the first Samsung Galaxy Tab S2 Android 5.0.2 Lollipop firmware few days ago. The device is expected to be announced by next week. 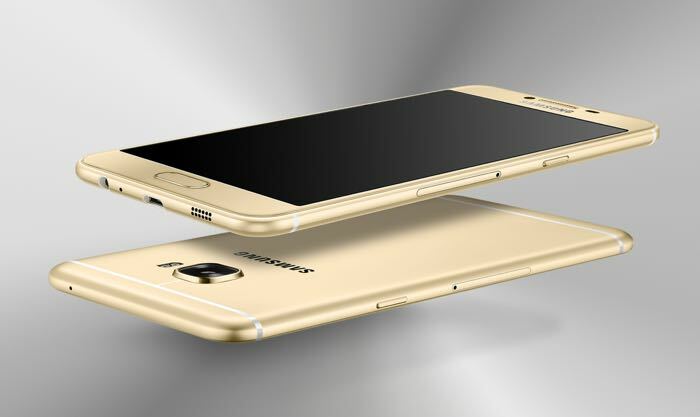 The fact that Samsung is going to launch the Galaxy C5 Pro isn't really a secret as we know a lot about it already. However, we did not have a live image till now. The photo that you see below was made public by @mmdj_china on Twitter and although it is heavily blurred, this is probably the real deal. 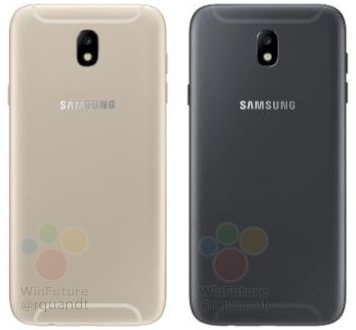 What we can see from the picture shows us that the C5 Pro will be similar to other handsets in the C series with slim bezels and the iconic Samsung Home button. Although there have been some conflicting info on the specs of the handset, take a look at the rumoured/leaked specs below, before it's officially launched this month. Fingerprint scanner embedded into the Home button, USB Type-C, etc. We have had a good look at the Galaxy S8 before, thanks to rendered photos and even a video by @OnLeaks. We had even seen a live photo or two of the upcoming device in the past few weeks, but they are nothing like what we have for you today. These images show it all and you can now have a clear idea of what to expect from Samsung this year. Unfortunately, there's nothing that these images show us which we don't know already. We can see the 3.5mm audio jack, the USB Type-C port, the curved display with very high screen-to-body ratio and no physical Home button. If you can't wait to get your hands on one, you will just have to wait till March 29, when the company may announce the device officially to the public. 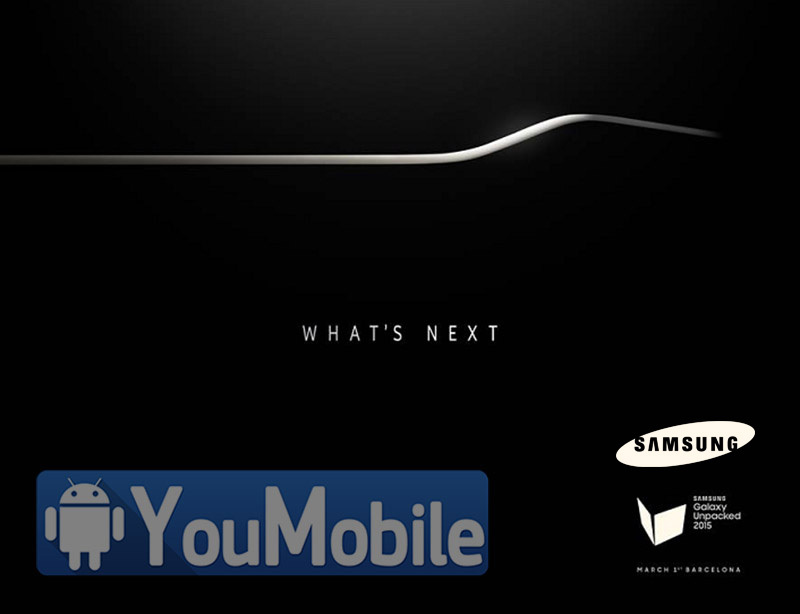 In fact, Samsung will confirm the official launch date and release date during their conference at the MWC next week. Take a look at the images leaked by Ice Universe on Twitter and let us know if you like what you see. 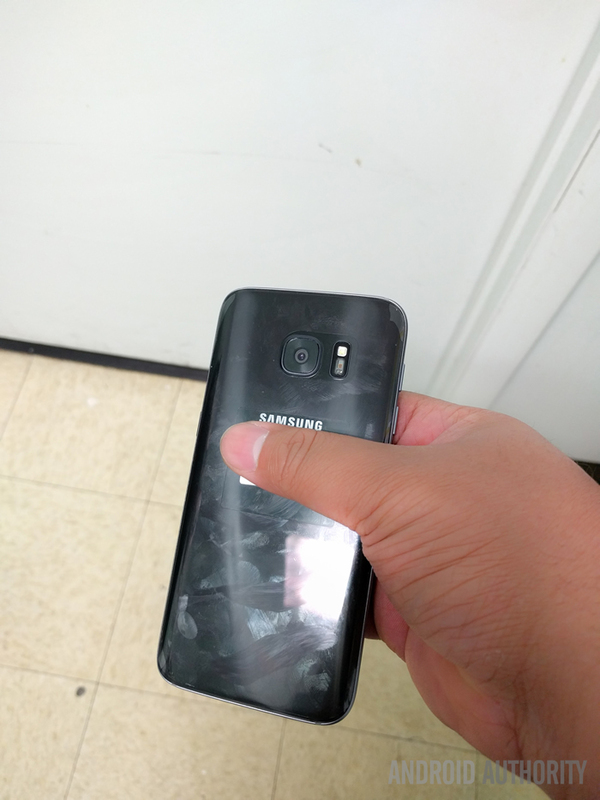 We posted Evan Blass's renders of the Galaxy S8 in Orchid Grey, Arctic Silver and Black Sky just a while ago and now we have live images of the color variants for you. However, we do not see the Black Sky color in any of these images. 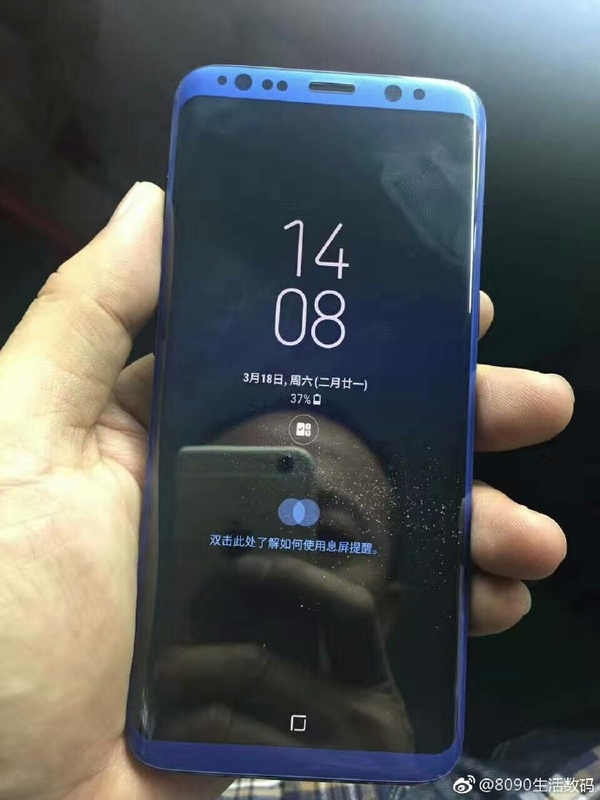 Instead, we are treated to a blue Galaxy S8 in one of the three images. Take a look yourself and see what Samsung has in store for his customers next month. There has also been talk about a gold variant, putting the total number of color options to six at this point. The colors known so far are black, blue, silver, gold, grey and violet. There might be more colors, but we don't know about them yet. However, what we are almost sure of is the fact that Samsung won't be releasing all of them in any one region. They might even wait a while before releasing some of the colors. Which color would you get? Are you considering the Galaxy S8 or the S8+ in the first place? Let us now in the comments. They already have had the necessary FCC certifications and rumors are predicting that both the smartphones will be made official by Samsung anytime now. While the Galaxy J5 (2017) and Galaxy J7 (2017) will not be phones which will ever enter the US or European markets, they are a huge hit in the emerging markets of India, Pakistan and South Africa. On that note, let's take a look at what Samsung has in store for the fans of the series this year. The design visually reminds us about the Galaxy A (2017) series. 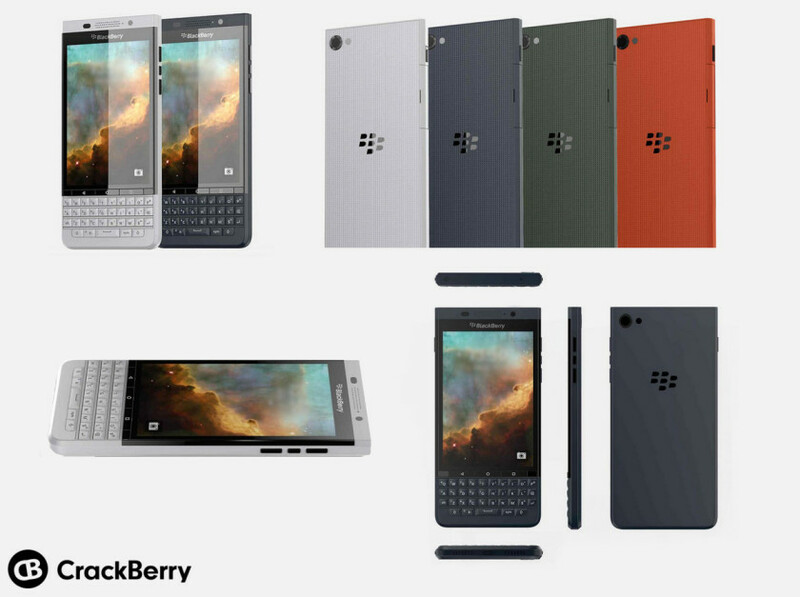 Of course, it will have more modest hardware specifications as compared to the mid-range A-series. If you are wondering what those specifications are, your guess is as good as mine. Nevertheless, let's hope that the 1080p display won't be exclusive to China this year around. Don't expect any AMOLED displays though as those are reserved for Samsung's higher end phones only. 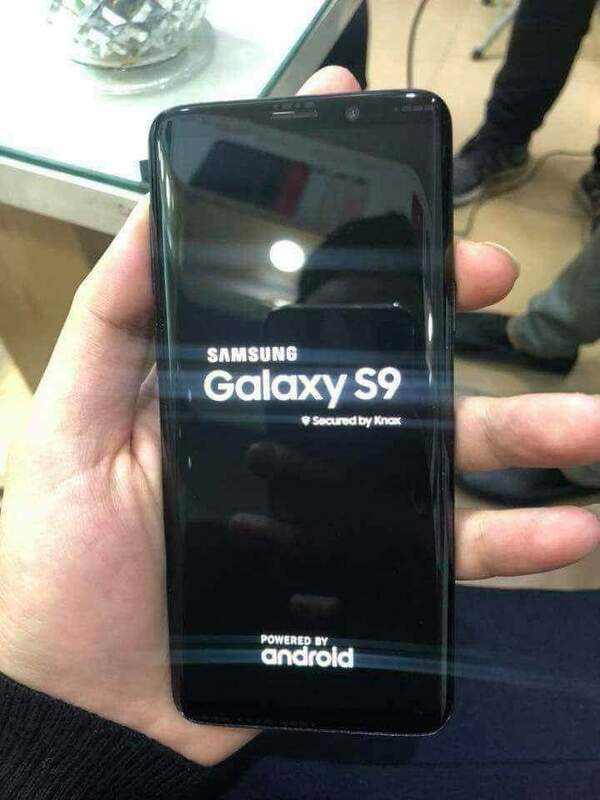 It has finally happened; mere days away from the official launch date, a new leak has revealed live images of the Galaxy S9. It may not have been a big deal last year, but it is a big deal this year because unlike the situation with the Galaxy S8 in 2017, there has hardly been any reliable live photos for fans to have a look at pre-release. 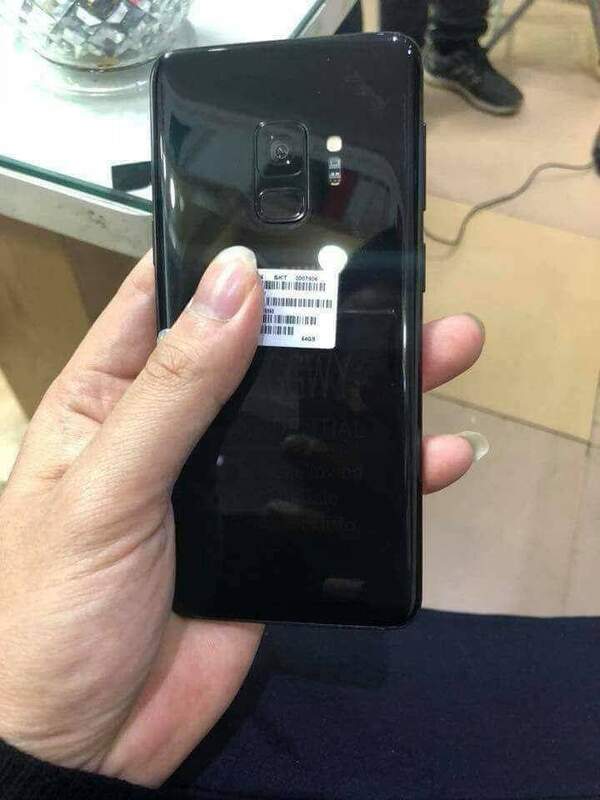 Although, that has not kept the internet from finding out and leaking all the details about the Galaxy S9/S9+ and if these live images are anything to go by, the leaksters were pretty much spot on with their reports! 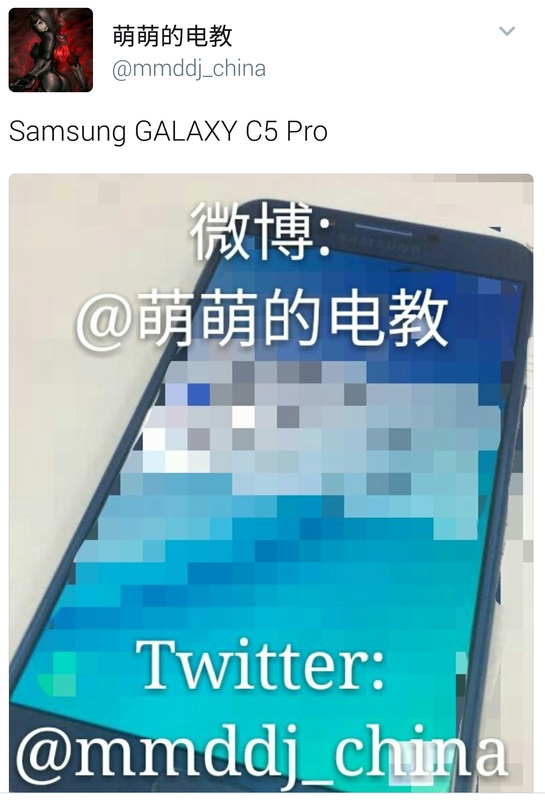 The photos you are seeing comes from Vietnam and was leaked on Twitter by SamsungMobile.News (@Samsung_News_). 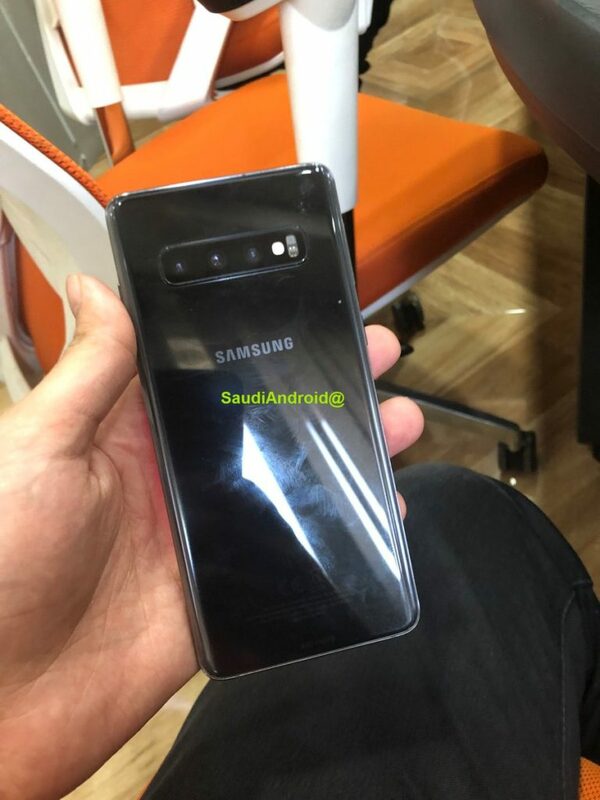 The single camera module on the back confirms that this is indeed the Galaxy S9 and not the S9+. So, do you like what you see? 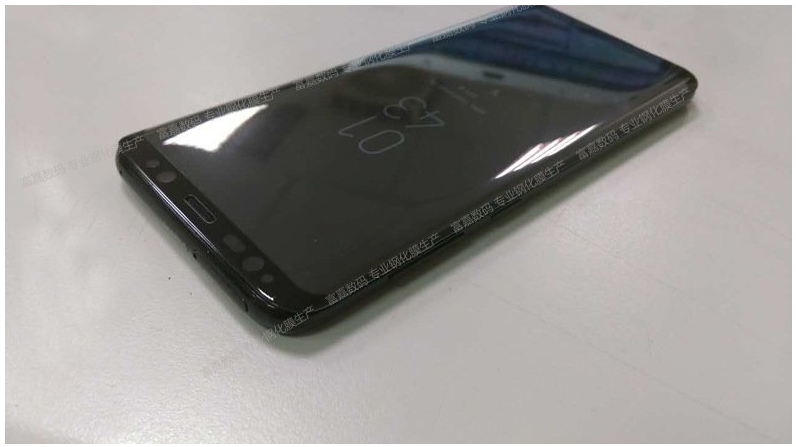 Or do you think it looks way too much like the S8? Is the 3D emoji feature, a more powerful SoC and the f/1.5 camera enough to make you switch from your S8? Do let us know all this in the comments. As it is the situation every year, there's a lot of excitement surrounding the next Galaxy Note device and rumors are slowly starting to make their way onto the internet. Nevertheless, you shouldn't believe everything you read or see. 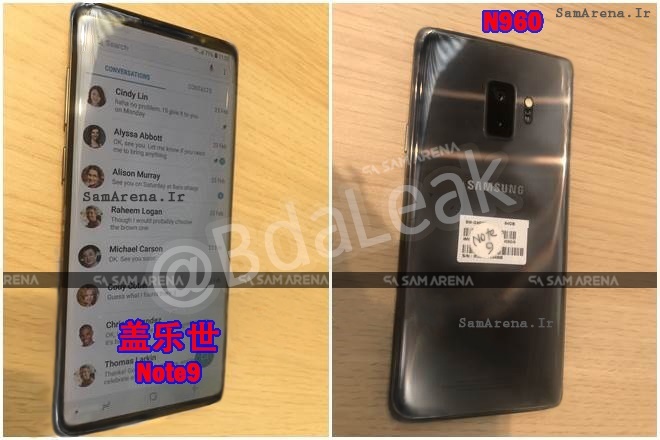 For example, the latest photos of the Galaxy Note 9, as leaked by @BdaLeak are not real either. This news and the pictures have been confirmed to be a fake by SamMobile so do not take these images very seriously. 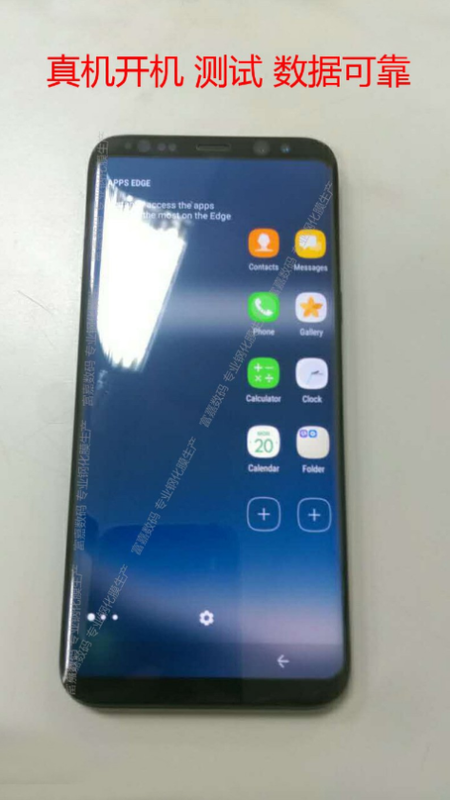 Besides, it's way too early for Samsung to have fully functioning and ready prototypes such as the ones shown in the pictures. Additionally, the lack of a fingerprint scanner in any of the images gives one the impression that the Note 9 is sporting the in-display fingerprint scanner and we know for a fact that the technology isn't yet ready to support Samsung's AMOLED screens. Nevertheless, the actual images may not really look that much different from the ones that you see here, so it's worth a look we guess! The Infinity Display is not exclusive to Samsung flagships anymore because the higher end Galaxy A-series smartphones are already sporting it as well. Granted that they are not exactly the same QHD+ displays rocked by the flagship devices such as the S9 or the Note 8, these FHD+ displays look just as good to the naked eye in most cases. 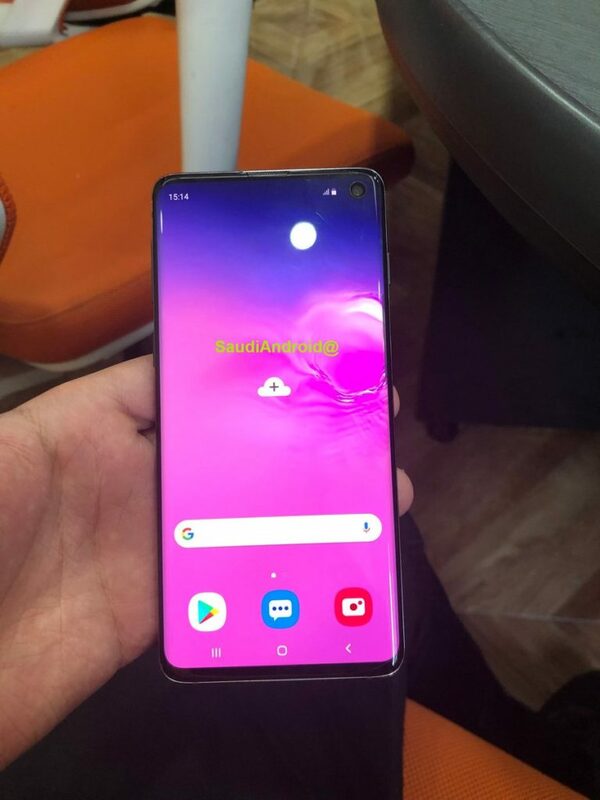 It looks like the upcoming Galaxy A6+ will also be sporting the FHD+ Infinity Display, as made evident by the leaked images you see here. These images showed up on the National Communications Commission website in Taiwan, alongside the certification and of course, the model number (M-A605G/DS). The six-inch 18.5:9 display isn't really a surprise as it was both rumored and expected via earlier leaks, but seeing the live photos confirms this fact, especially given the source. This will be the first time that Samsung will feature the Infinity Display on a mid-range smartphone. 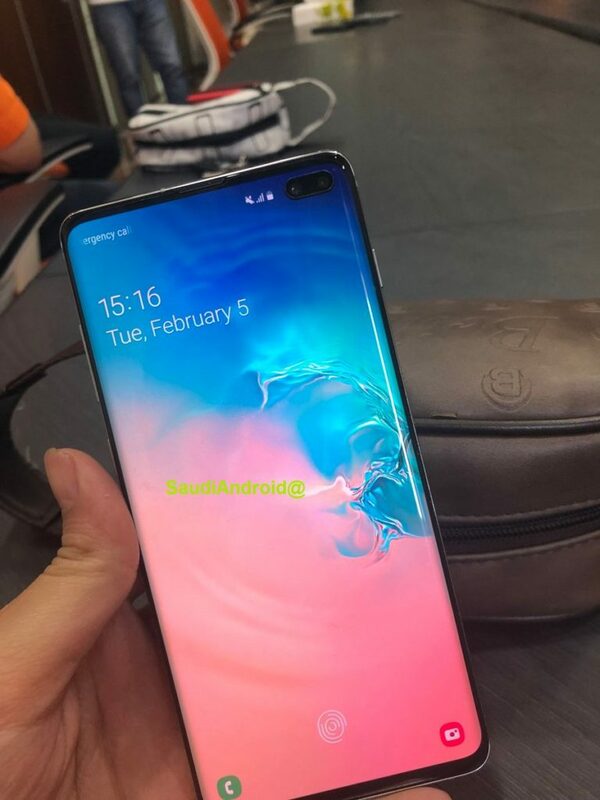 The Galaxy S10 series of smartphones are now less than two weeks away from launch date, as Samsung has now confirmed that they are going to unveil the Galaxy S10 series on February 20, at an exclusive Samsung Unpacked event in San Francisco. 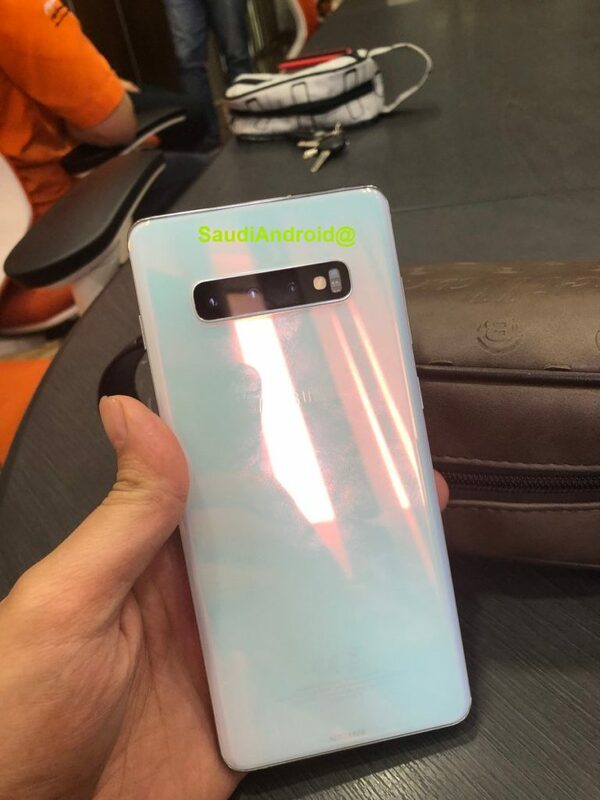 Even more importantly, we now have our first look at a live Galaxy S10+ model, that reportedly comes from Saudi Arabia. Looking at the images, we are relieved to see that the design isn't as boxy as it looked in the casemaker's models that we showed you yesterday! If the images are to be believed, then the Galaxy S10+ at least, will indeed sport an in-display fingerprint scanner after all. There's also the expected tri-camera module at the back and it does look like there will be a Pearly White color option this year after all. 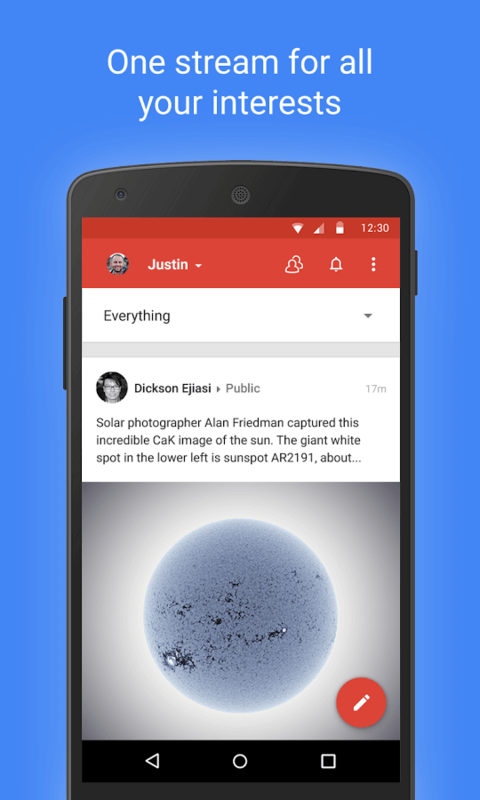 Android Google+ App has just got a major update to version 6.0.0.99 with New features along with various bug fixes and performance improvements. 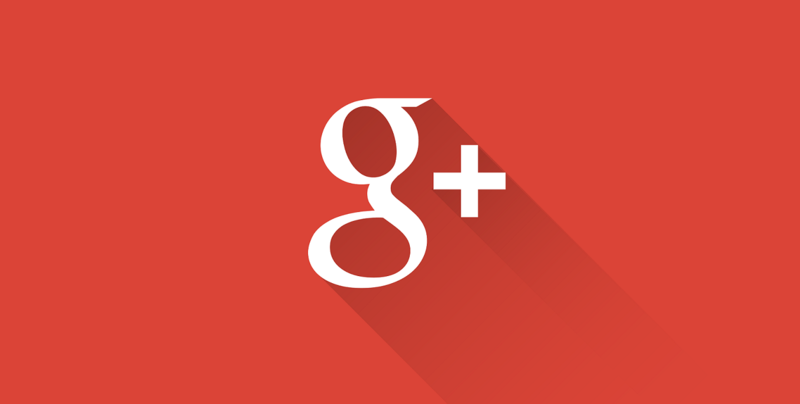 In Google+ v6.0 now loads animated GIF image better and faster than previous versions for best viewing experience. 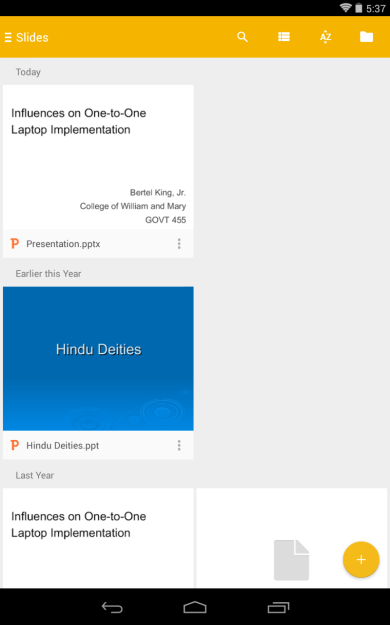 The update also includes adding "Collections posts" support. 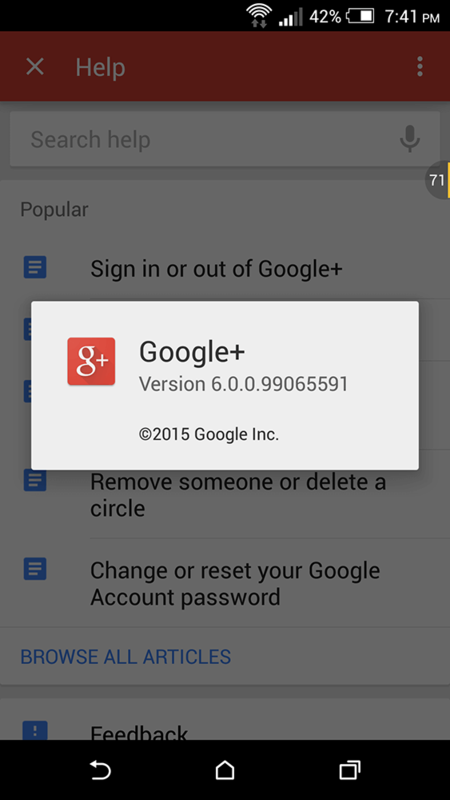 You can now Download the Official Google+ v6.0.0.99 APK below if you don't want to wait for the update to hit your device. 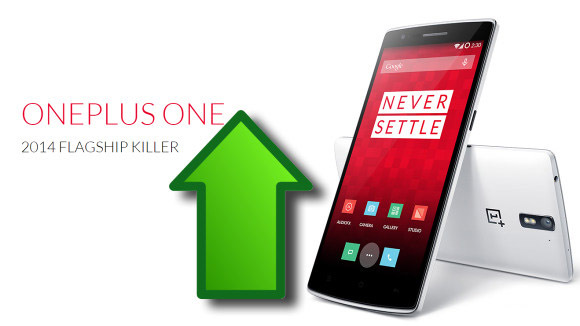 OnePlus has just updated it's one One and only flagship device , the OnePlus One, with a Major OTA update that contains the new CyanogenMod firmware [CM 11S 38R] which brings many new features, improvements and bug fixes. Notable upgrades in this firmware are the added RAW format in the Camera app, expanded audio codec playback capabilities, better battery life and ANT+ support. The battery life also got a boost, while quite a few bugs got squashed. - Improves the responsiveness of the touchscreen. - A new and very cool lockscreen. - Ability to take photos in RAW format. - Enhanced audio capabilities (24 bit, 96/192khz-flac/alac/wav files without resampling). - Added method for users to report bugs directly to Cyanogen. - Added pause button during video recording. - Fixed issues with camera exposure compensation stuck in auto. - Fixed issues with ‘4G Preferred' option not connecting to 3G data. - Fixed issues with delay in torch activation. - Fixed issues with unresponsive screen requiring reboot. - Fixed issues with static in speaker when changing volume while headset plugged in. - Fixed issues with rotation not triggering when rotated slowly. - Fixed issues with Quiet Hours / system UI causing battery drain on last day of month. - Fixed issues with camera not starting when LED torch is already on. - Fixed issues with Bluetooth volume low on connection. If reports from sources around the world are to be believed then the iPhone 7 Pro is real and it's coming in September along with the iPhone 7 and iPhone 7 Plus. We now also have a "leaked" image of what is claimed to be the iPhone 7 Pro, thanks to MacRumors. Even if it is true and the image is indeed a picture of the iPhone 7 Pro, it is probably just a prototype as its theoretical release date is still at least 4-5 months away. From what we can see in the photo leaked by MacRumors, the Pro model will sport a dual-lens camera, a first for Apple smartphones. Also, the design elements do not seem to have changed much from last year's iPhone 6s. Before you laugh away the entire thing as a hoax, consider the fact that Feld & Volk have released certain iPhone 7 Pro renders of their own, inspired by these photos. Feld & Volk is famous for offering post market iPhone modification services and their last rendition, which was of the iPhone 6, turned out to be flawless in 2014. Add the statement of OnLeaks/Steve Hemmerstoffer which suggested that this "could be the real deal" and suddenly it starts to feel more like a leak than a rumor. Apple was once famous for its simplicity and that was one of the things that people loved about their products, but right now, that is just not the case. In order to target customers with different buying capacities and needs, Apple currently has five iPads in the market; iPad Mini 2, iPad Mini 4, iPad Air, iPad Air 2 and of course, the mighty iPad Pro. Similarly, it wouldn't be that much of a surprise at this point in time to see Apple release three versions of the iPhone 7 this year, as it would have been a few years ago. Samsung releases two flagships devices already, but no wearables yet. It looks like the Korean giant is preparing to reveal a new smartwatch for its new line-up, this time it will rounded and metal. Samsung Gear S2 has been unofficially revealed as the New smartwatch apeared on a couple of promo images on Samsung's website. 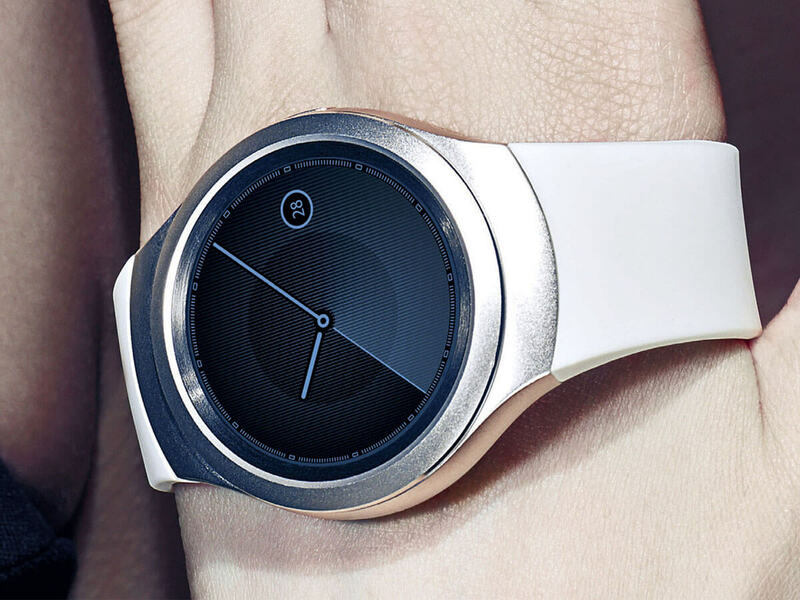 The Gear S2 will pack a Round display with seemless design and New User Inerface too. 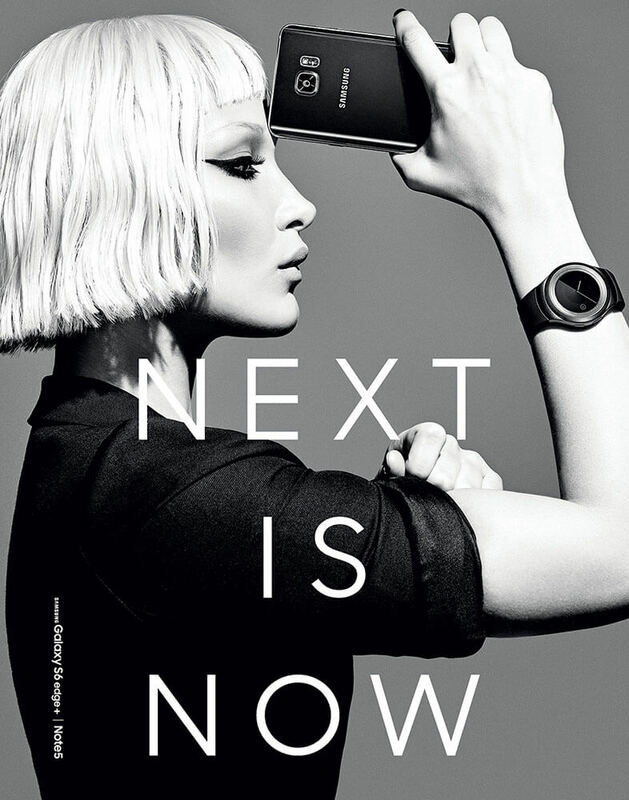 Samsung Gear S2 will make its official debut during IFA in Berlin next month, on September 3. The smartwatch features circular display and sleek new user interface. 2017 is almost here and as usual, all OEMs around the world are preparing to launch their new flagships for the new year. LG is still one of the biggest names in the business, but lately, they have been struggling in terms of sales. The company is of course, depending on the upcoming G6 to get themselves out of the rut that they seem to have fallen in recently. 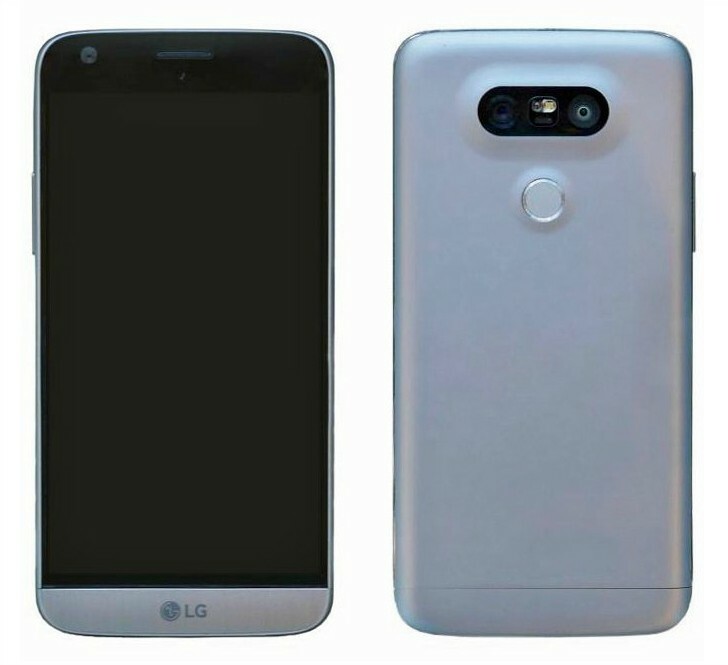 We have a few renders and a bit of info on the LG G6 for you today that may give us an insight onto what the Korean giant has planned for 2017. The leak by Shai Mizrachi (brought to us via the courtesy of Android Authority) shows a design language that's not much different from what we saw last year on the G5. 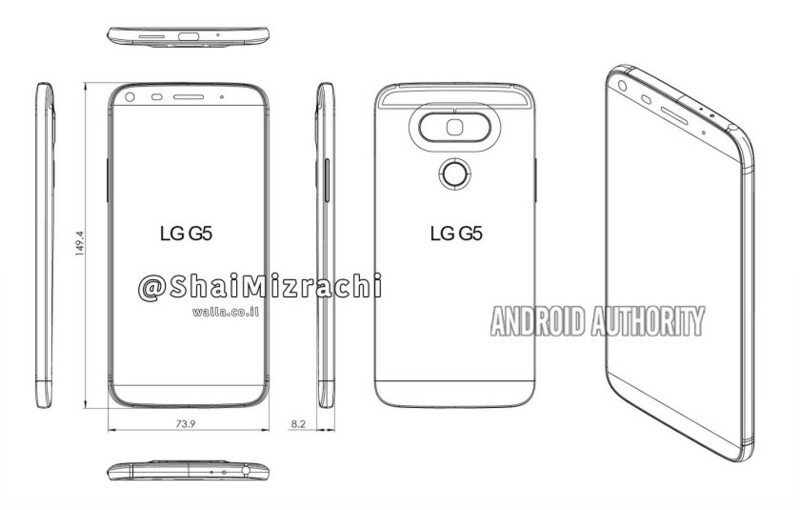 However, at 72.43 mm thickness, it's probably going to be more than a millimetre slimmer than the G5 (73.9 mm). Other rumors around the phone indicate that the G6 may sport a 5.2-inch/5.5-inch QHD display, a Qualcomm Snapdragon 835 SoC, 4GB/6GB of RAM and a dual camera module, reminiscent of the LG V20. If you are wondering if the G6 will have modular capabilities like its predecessor, nobody knows yet. Do you like what you see, or is the G5-ish design putting you off? 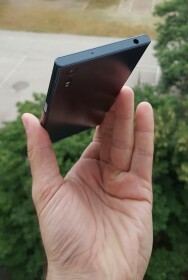 Courtesy of GSM Arena, we are now able to take a look at the Sony Xperia F8331 prior to its launch. In case you are not aware, the F8331 is the upcoming flagship smartphone from Sony and it is supposed to be released in 2016. From what we can see, the device looks quite different in comparison to its predecessors and will probably sport a larger display as well. 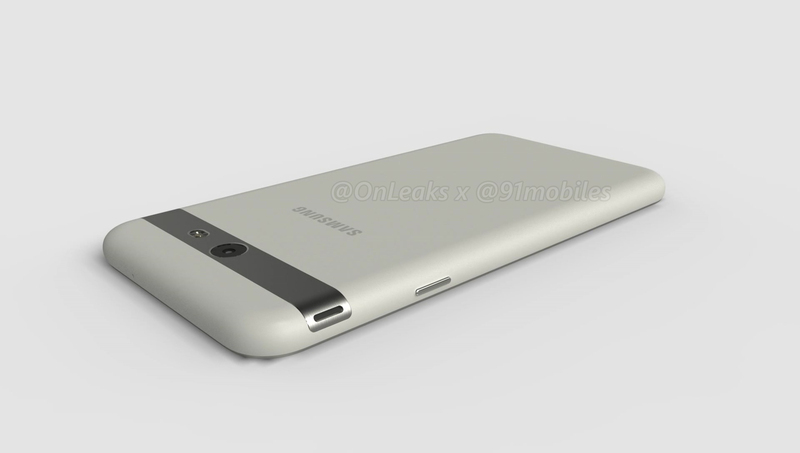 At the back, the position of the camera and the dual-tone flash have been tweaked slightly to give it a new look. A separate panel at the back and near the bottom can also be seen, which looks similar to an antenna window. There's also the USB Type-C port, the 3.5mm audio jack, a NFC antenna and the much loved front facing stereo speakers. We found the device to be gorgeous and the specs look promising so far. 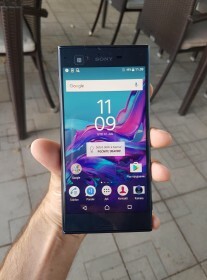 There might be a few complains about Sony going with a Full HD display for the F8331 instead of a QHD or even 4K display, but considering how much of a battery hog those can be, we are not complaining. You can still shoot 4K videos with both the front and the rear cameras though. 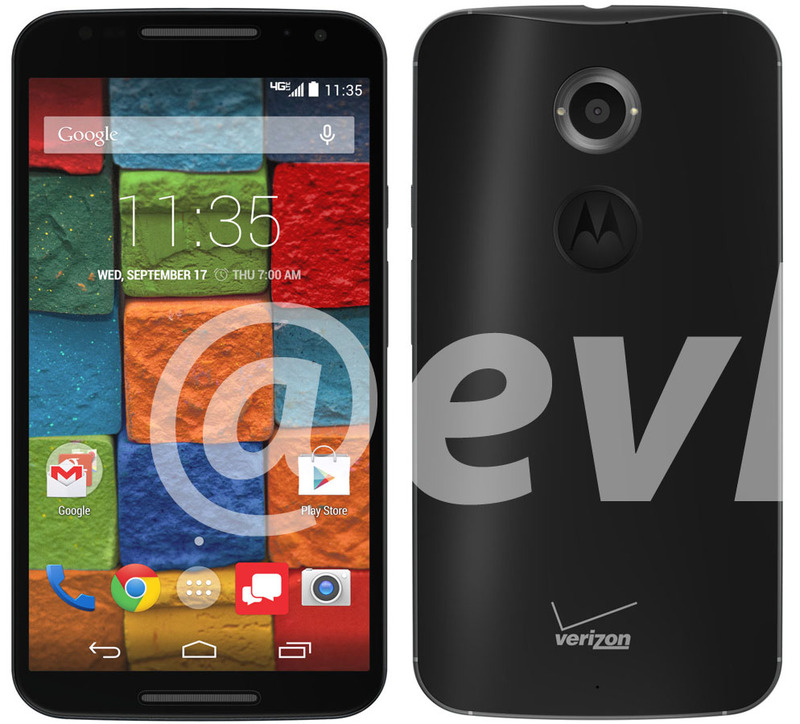 @evleaks posted a Photo of the upcoming Motorola flagship device, Moto X+1 as a "Retirement Gift". The phone has two colors, Black with matte back and white with a wood back. Both photos have Verizon's logo. 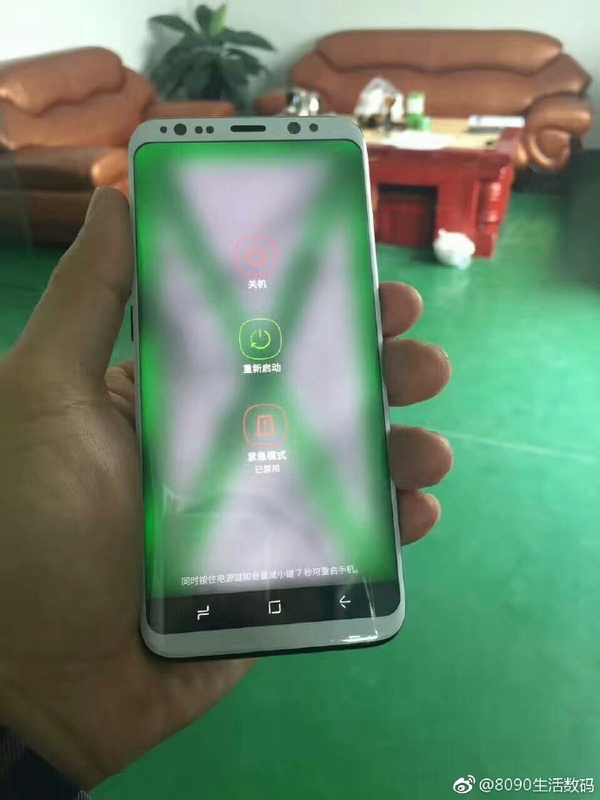 The images seem to match up with the images we previously leaked of what we believe to be the X+1, including the unique flash arrangement and somewhat confusing Motorola logo stamped into the back of the device. Around front, the front-facing speaker arrangement appears to match, and the home screen isn't too surprising, sporting Moto's minimalist skin. The white phone pictured has four gray dots that one may assume represent sensors. 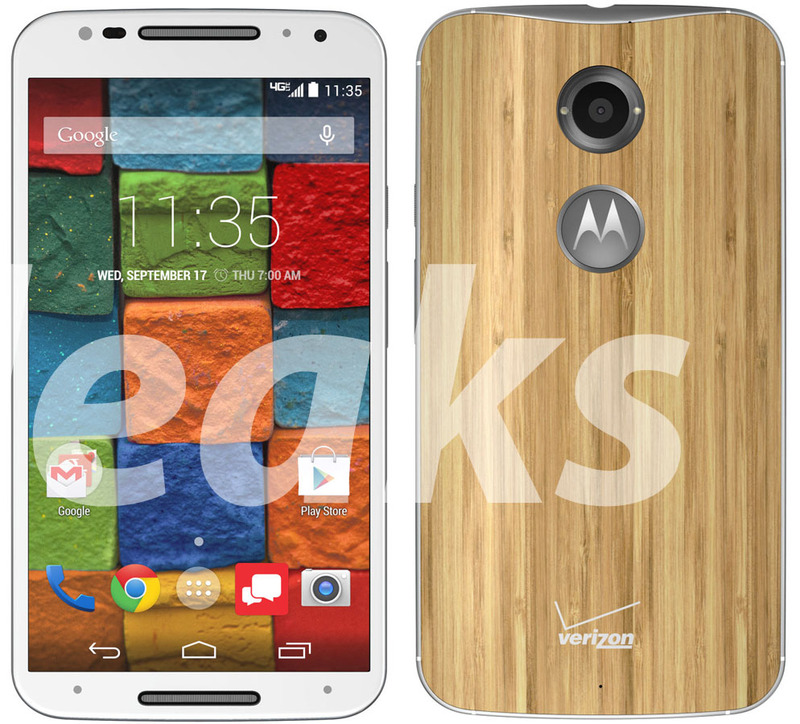 Moto X+1 official annoucment will be on Sept,4th IFA 2014 event. Last Month, We reported that Android 5.0.1 update will be coming late December. To confirm this report, Today, Google released the official Android 5.0.1 Lollipop AOSP Factory images for all Nexus devices who already got Lollipop. 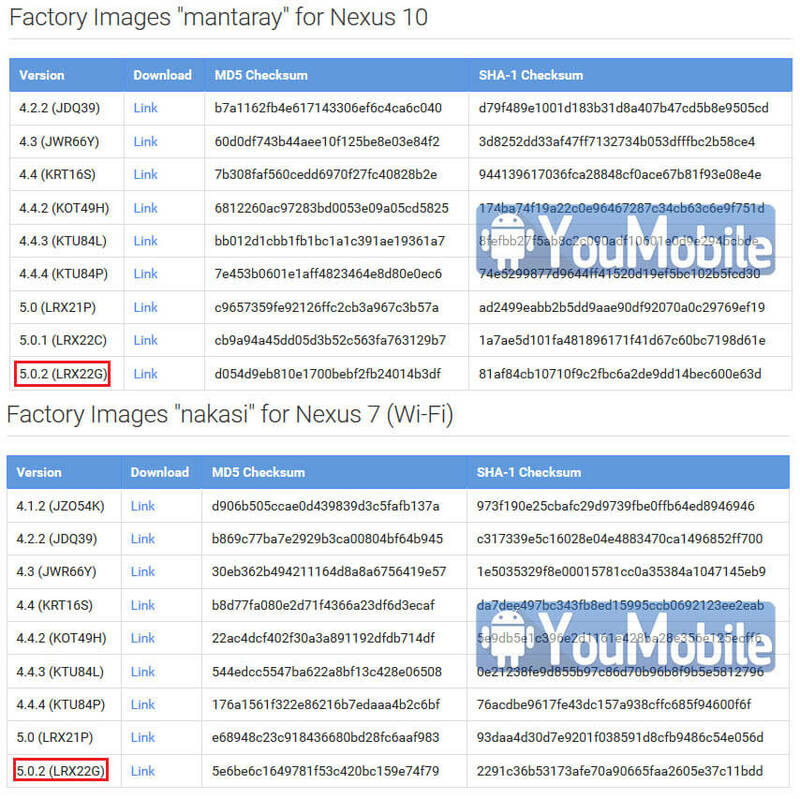 The 5.0.1 Factory images are now live on the AOSP website and you can download and flash them to your Nexus device. There's no official change-log for the Android 5.0.1 yet, but we can guess it packs many bug fixes, performance and stability improvements. This minor update also brings better battery life for wearables. We'll post the full official change-log once we get it. The Android 5.0.1 Lollipop OTA updates will start Rolling-out by the End of this Month (December,2014) to all compatible Nexus devices. We already announced that Google will release Android 5.0.2 for more Nexus devices on Jan, 2015. Today, Google posted the factory images of Android 5.0.2 Lollipop [LRX22G] for two more tablets the Nexus 7 (2013) and the Nexus 10. Google already released the the same factory image for Nexus 7 (2012) last December. This new update offers just a few bug fixes and the build might be limited to older versions of Nexus tablets. For example, the update has not been sent out to the Nexus 9, which is the most recent tablet offered under the Nexus name. The 5.0.2 Lollipop OTA update will be available for all Nexus 7 (2013) and the Nexus 10 users very soon. You can use the factory image for would be to update your Nexus 7 (2013) and Nexus 10 to Android 5.0.2, without having to wait for an OTA update. 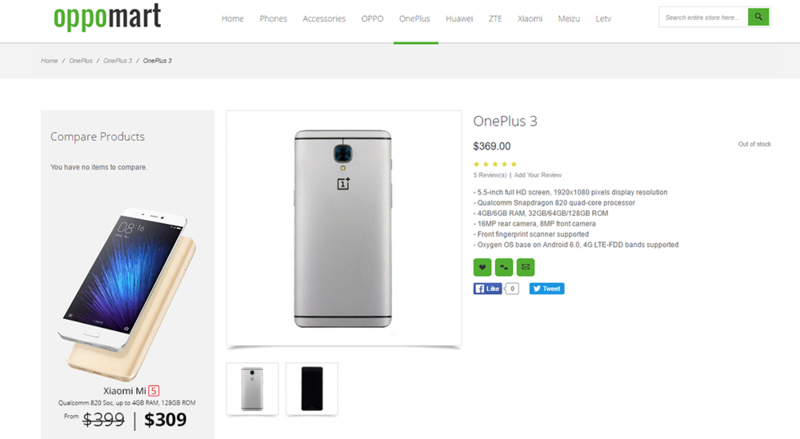 You can find the factory image for the two tablets by clicking on the source link. Google has just officially revealed a new version of its mobile operating system, Android 5.1 Lollipop. Google confirmed the next Android iteration "5.1 Lollipop" via its official Android One page. 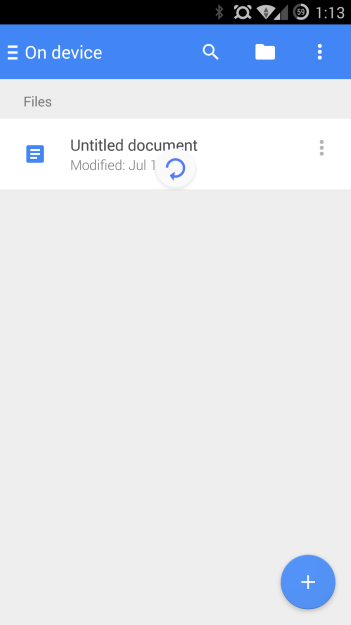 However, there are no details about the improvements made on Android 5.1 but we also got a change-log and some screenshots of this Android version. - Silent mode added after missing on Android 5.0 release. - General improvements in system stability. - Fixes for sudden app closures. - Excessive consumption of network devices when used Wi-Fi fixed. - Issues with wireless connections fixed. 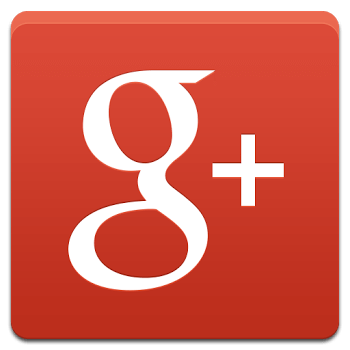 - Problems with Okay Google function solved. - Some sound problems experience [sic] by certain devices fixed. - Other improvements and changes. It's only a matter of days until Google releases the Android 5.1 factory images followed by the OTA update to all its Nexus devices. We reported before that Google will release Android 5.1 Lollipop update on March. Today, Google has just published the official Android 5.1 Lollipop factory images for Nexus 5, Nexus 7 (2012 WiFi) and Nexus 10, other Nexus devices will follow soon. As for the OTA update, it will start rolling-out by the end of this month. What's New in Android 5.1 ? 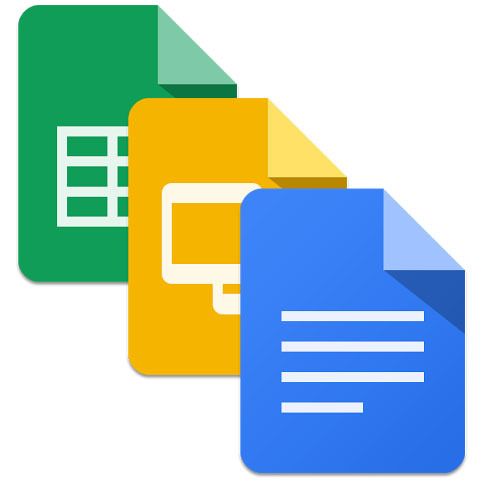 Android 5.1 brings support for multiple SIMs and cross-platform HD Voice, along with Device Protection which ties your Android device to your Google account and prevents unwanted access to your device even if it goes through a factory reset. Additionally, there are some tweaks to quick settings for easier control over Bluetooth and WiFi network switching. You can check the full change-log on HERE.